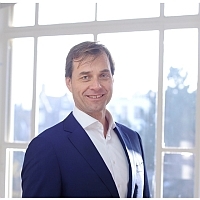 Arjan van Elk has been a lawyer since 1998. He originally started his practice with the Hogan Lovells Amsterdam office. He joined Van der Steenhoven Advocaten N.V. as an equity partner on 1 January 2017. Arjan van Elk specializes in corporate/commercial law, including corporate litigation. His practice includes M&A, joint ventures, corporate restructuring as well as corporate litigation. His clients range from medium-sized to large-sized companies, both domestic and international. He has a sharp eye for detail, but always looks for a practical and cost-efficient solution. Arjan van Elk has taken one year postdoc studies on M&A. Arjan has also lectured other lawyers on management liability and on set-off of claims (pre- bankruptcy as well as in bankruptcy). Arjan is fluent in English and is competent in German and French as well.